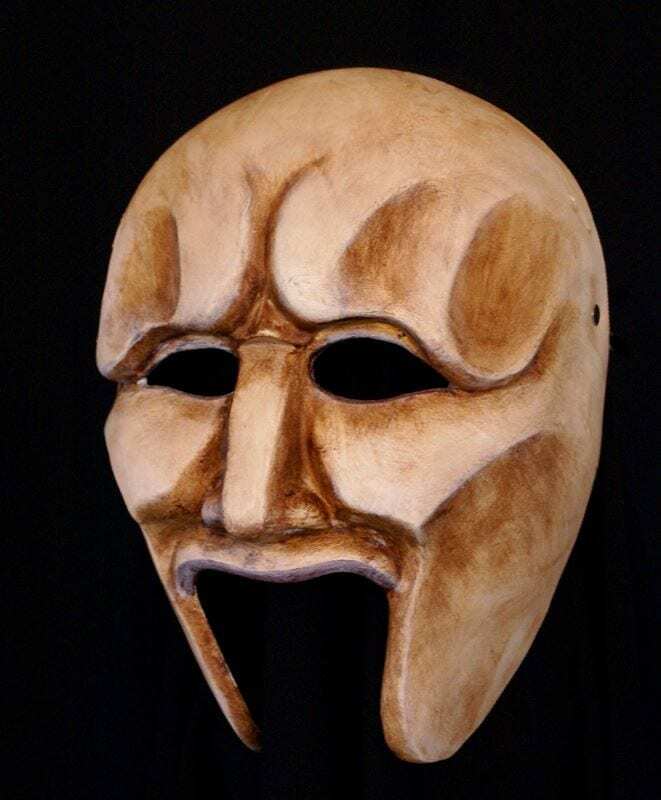 Inspired by Ravenswood Masks, the Greek Chorus Mask from Medea is a mask of true tragedy. This expressive form allows the chorus to express anguish, pride and concern. This mask is the conscience of the play and presents true understanding. This chorus half mask is typically kept in stock in multiple numbers. It is made of durable materials and is easily cleaned.